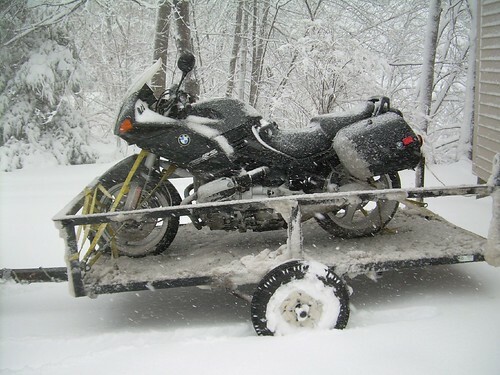 This poor BMW RS got towed back home through the snow storm this week. It looked shiney new when I picked it up, and it was caked with salt, sand, and road gook after the 2 hour drive home. Very sad.